Can you believe that Thanksgiving is only a week away? Wow, this holiday season is FLYING! In the past few years, our Thanksgiving has been more causal and relaxed. Therefore, I’ve been wearing more casual outfits for Thanksgiving. 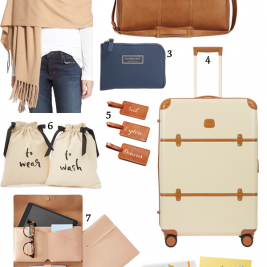 So in this post, I will be sharing casual Thanksgiving outfit ideas. These are all casual yet still put together. Ya know, so you can be photo ready as well. Let’s be real, photos are almost always taken during the holidays! Especially during Thanksgiving, I really like being causal. I think it is because there is an abundance of food and when I’m casual, I’m more comfortable. Sometimes being dressed up makes me feel restricted haha. 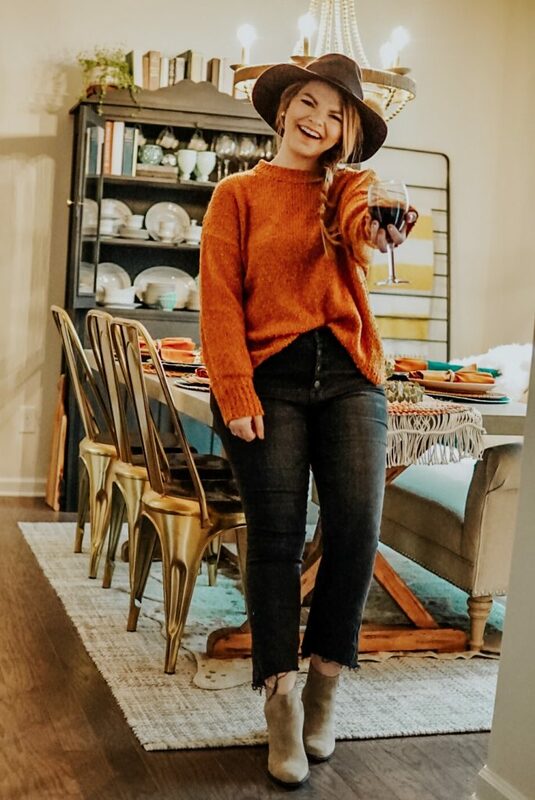 So me and 4 of my blogger friends thought we’d share with you all some casual Thanksgiving outfits. First I’ll share my casual Thanksgiving outfit idea. When I think casual, I think jeans. Jeans are the ultimate casual. I knew I didn’t want to wear just any jeans, I wanted jeans where they can provide more flexibility and less restriction. My mind immediately went straight to Everlane’s Authentic Stretch denim. I talked in this post why they’re the best and explained how these jeans are like wearing leggings. Since I love my black denim pair so much, I got a pair of the ankle-length cigarette jeans in mid-blue wash. These jeans fit true to size. However, I don’t think the ankle-length is a true ankle-length. 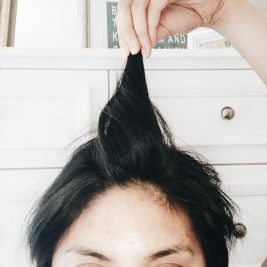 It is more regular length on me. I’m 5’4″ for reference. Since it is all under the Authentic Stretch Denim collection, you bet it is just as comfortable as my black denim. Which to me screams yesss for Thanksgiving. I can eat as much mashed potatoes, turkey (with gravy of course), and stuffing and be all good with my Thanksgiving food baby haha. I decided to pair it with this rust-colored sweater. It’s comfy, cozy, keeps me warm, and the scalloping detail on the neckline dresses it up a bit. I love when clothes look dressed up without much effort. Just makes you look put-together. If you didn’t know this, I am a huge fan of using silk/satin scarves as headbands. It’s a great way to change up your hairstyle. So easy and it creates a subtle statement. 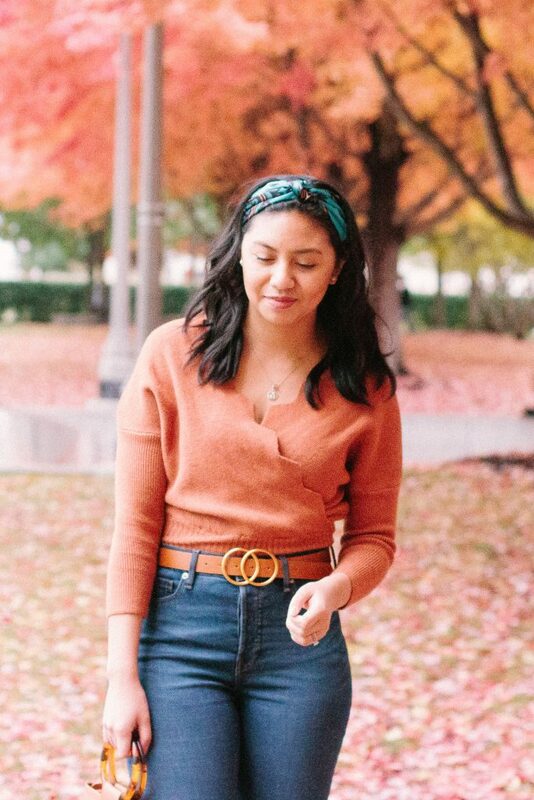 The teal color of this scarf goes well with the rust-colored sweater. I also love the color of this scarf that I wore in the summer. 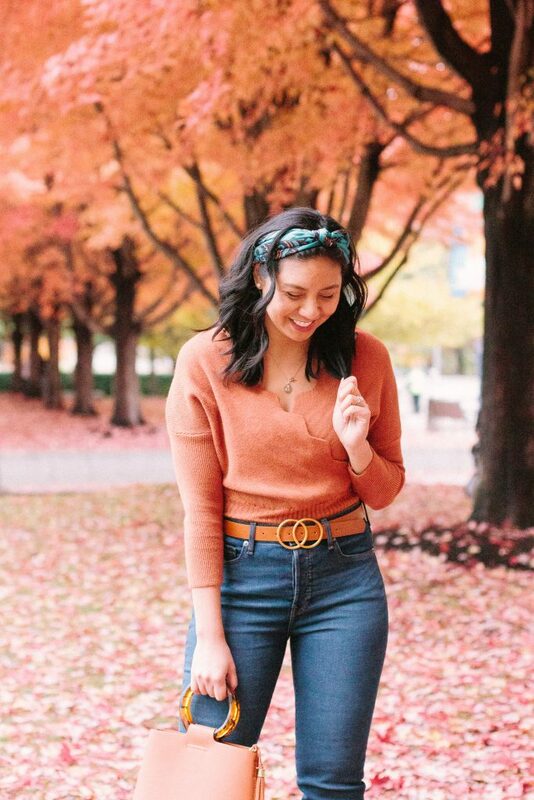 If you need more casual Thanksgiving outfit ideas, check out how my blogger friends styled these casual Thanksgiving looks. 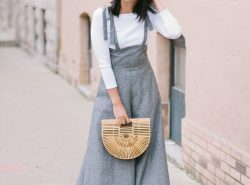 So if you are having a casual Thanksgiving, I hope you like these outfit ideas! Love these casual Thanksgiving outfits!! So pretty, all of them! 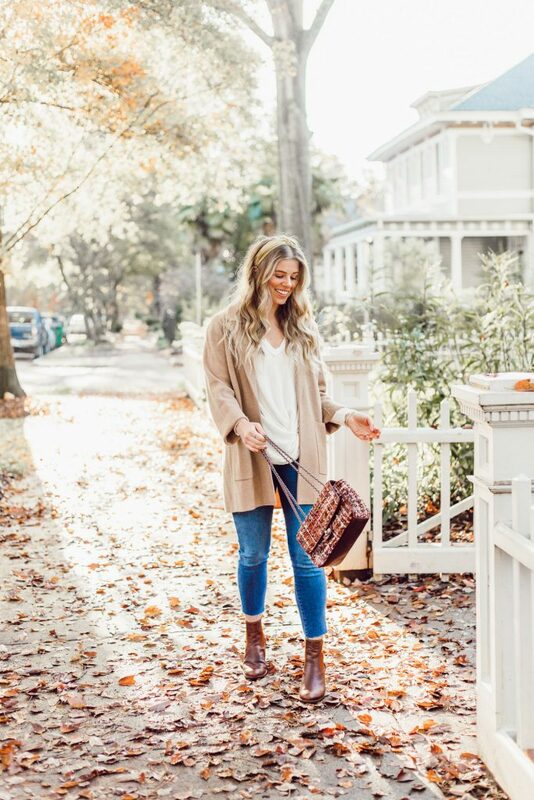 I am loving your Thanksgiving vibes in this post- so many super cute looks! Love this look lady! 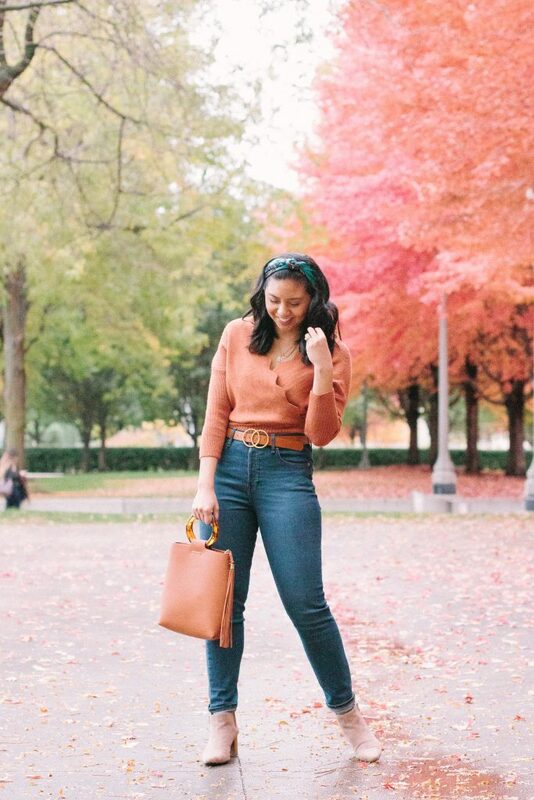 That sweater is the perfect shade for Thanksgiving and fall festivities. 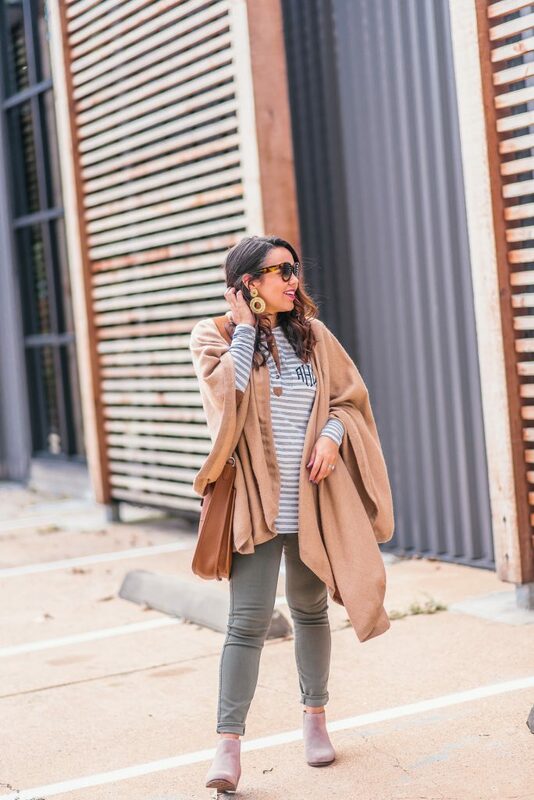 I am loving this casual look! Definitely going to be what I am going for next week 🙂 This is also a great color on you! 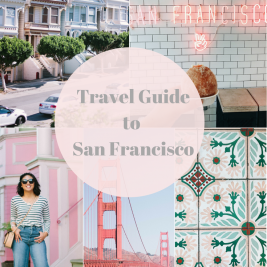 I love this beautiful roundup you ladies made!! Such cute and cozy looks. I will definitely be wearing something comfy next week. I love your pretty sweater! Thank you Krisztina! Definitely comfy is a must during Thanksgiving! 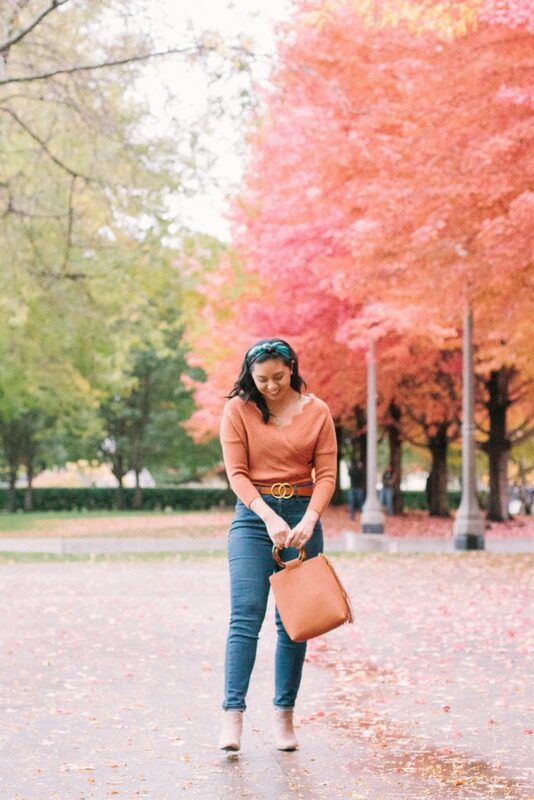 Such a cute fall outfit! I love the color and fit of that sweater! I love that Chicwish sweater. 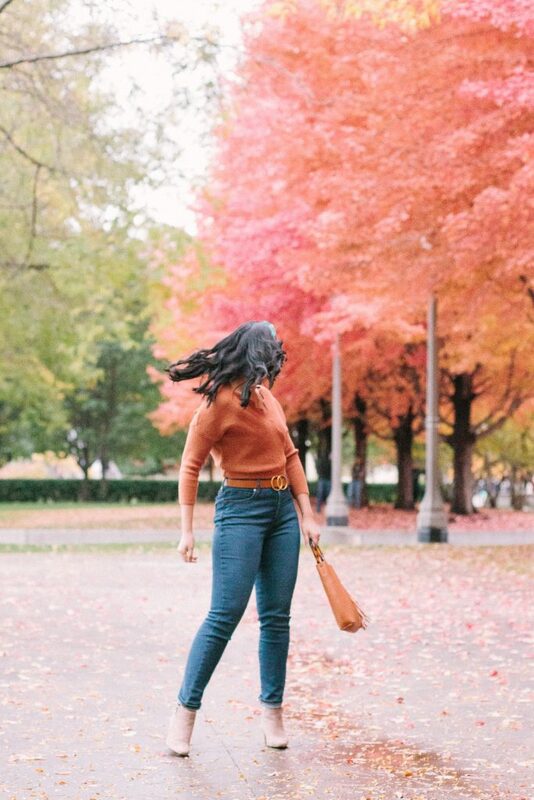 It pairs so perfectly with the fall back drop. I love the scallop detail on your sweater, and the colors in these photos is amazing!! So many cute Thanksgiving outfits! I am all about comfort for Thanksgiving so all these outfits are just perfect! I am definitely going to dress casually this year for Thanksgiving! 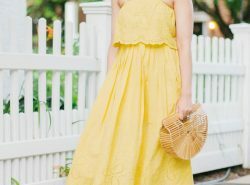 Love all of these outfit ideas! We have also gotten more casual for Thanksgiving in the last few years. Being casual during Thanksgiving so necessary these days haha! Your photos are soo pretty! I love the leaves everywhere and those colors in the background. You have such a great style. I think my favorite things about these outfits are the boots. They just look so good! i’m all about casual outfits and your top is so perfect and cute for any occasion! 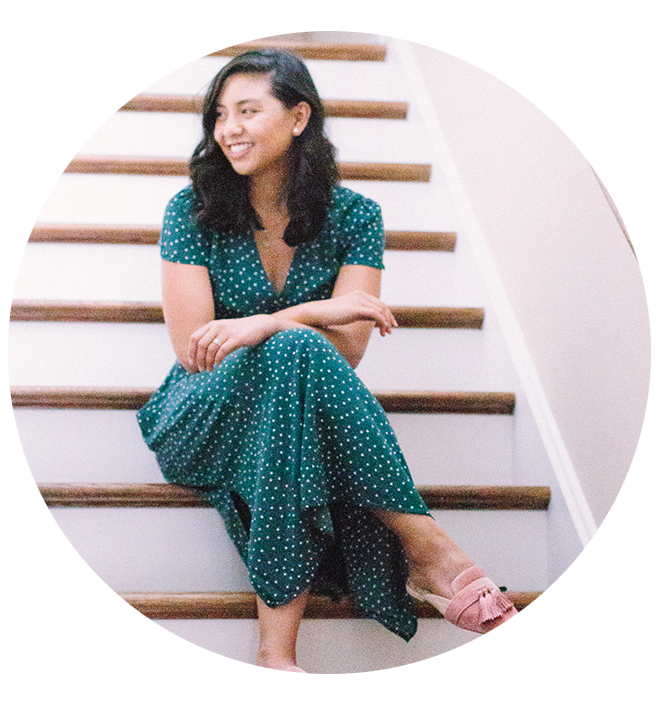 Those Everlane jeans are perfection on you!! Love everyone’s casual style! Your scalloped wrap top is so cute! I love any excuse to get dressed up, so I’ll be wearing a dress for thanksgiving! Thank you Lydia! Oo I hope you share what you will be wearing! So many cute, casual Thanksgiving outfits. I always wearing leggings and a cute sweater! Oo I like that! I added a nicer leggings to my wishlist! Your sweater is SO cute! Love the color and neck detail. Loving the cuteness and simplicity of this look dear. That top is so pretty on you. And yes, can’t go wrong with casual look on Thanksgiving.